The 2017 publication of Chambers Global has recognized the international efforts of one of Kegler Brown’s attorneys, ranking Vinita Mehra as a “Foreign Expert” for corporate and M+A matters related to India. Chambers describes Vinita as "very good strategically," remarking that she has "a great tendency to view things from a business perspective." They also point out that she is dual-qualified in Ohio and India and note her experience in U.S. and international corporate transactions. 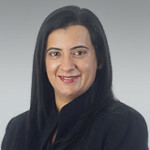 Vinita is one of only six attorneys across the United States to receive this recognition, and, of this group, is the only attorney not based on the East Coast. Chambers & Partners is an independent company that awards rankings to practice areas and attorneys in Ohio, nationally and internationally. Chambers Global covers over 190 countries across the world and also includes Region-wide and Global-wide sections. Their objective ranking process follows three steps: submissions put forward by legal practices, interviews during the course of research, and Chambers’ own database resources.